What can organizations do to create changes that are both profound and enduring? 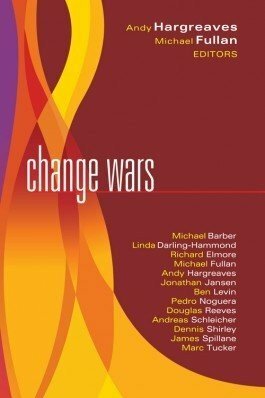 This anthology explores why traditional change strategies have failed and examines constructive alternatives. International experts prove successful change can be a realistic goal. Real examples of pilot projects, model schools, and other groundbreaking endeavors illustrate precisely how theory translates into practice. Discover why the purposeful pursuit of a democratic and professional approach to change is essential for meeting the goals of education systems. Study the relationship between the government and teaching profession, a central issue in education reform. Understand the complexity and contours of change and the roles of leaders within racially polarized institutions. Examine the merits of international comparative benchmarks as drivers for educational change. Utilize industrial benchmarkinga research technique borrowed from industry to examine what makes education systems successful in countries across the world. Learn why research and development efforts must focus on the day-to-day practice of leadership and management. “Andy Hargreaves, chair of education at Boston College, and Michael Fullan, professor emeritus at the University of Toronto, have provided editorial bookends to the perspectives of a dozen renowned international leaders, practitioners, and commentators on the status of change in education. “Their book provides substantive support for a sound conceptual framework and strategy for necessary reform. In the initial essay, Hargreaves proposes a new path—The Fourth Way, an alternate and strategic change in direction, to move education into an age of inspiration and sustainability [with] . . . pillars of purpose, principles of professionalism, and catalysts of coherence. “In 11 subsequent chapters, other education luminaries flesh out this framework.